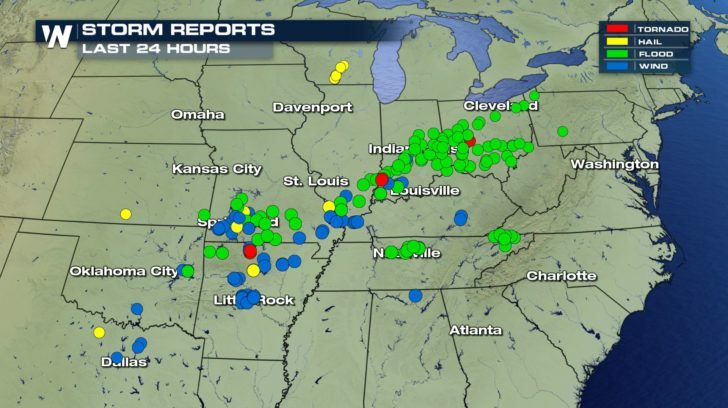 It was a winter severe weather day on Thursday from large hail to damaging winds and even a few tornadoes. 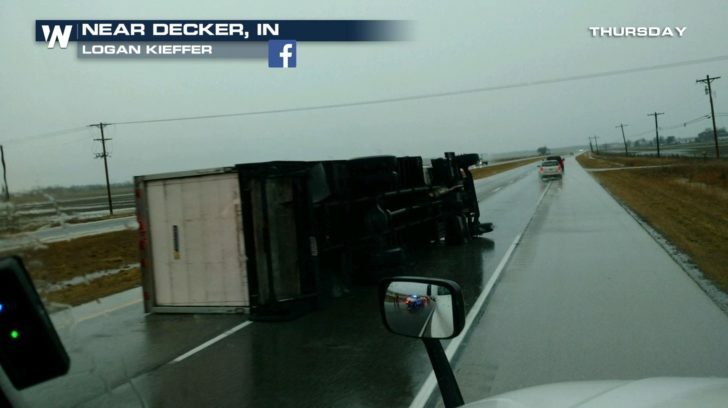 Strong wind gusts caused damage to many towns from Texas all the way into Southern Indiana. 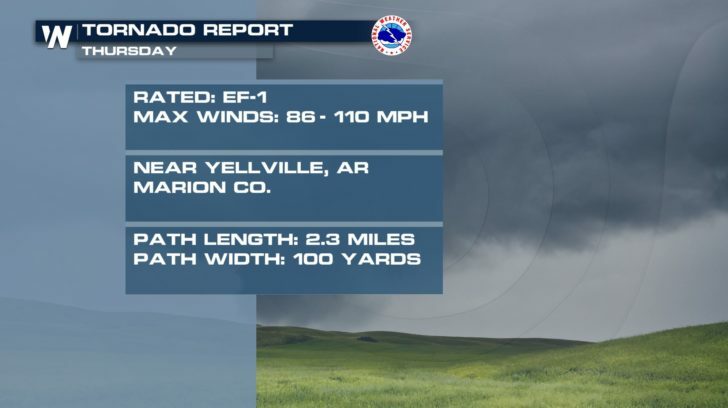 An early severe thunderstorm spawned an EF-1 tornado near Yellville, AR, blowing down trees and damaging homes. There was also one injury reported with this storm. Later on in the morning, there was an EF-0 that cause some damage near Decker, IN. A storm survey will be conducted as well for a likely tornado that moved through Clark County, OH, later in the day.